Not exactly what I was looking for. With all this drummed-up fear and stereotypes and prejudice flying around, I guess it’s easy for Americans to miss that Nigeria has been declared ebola-free, as was Senegal on Friday. 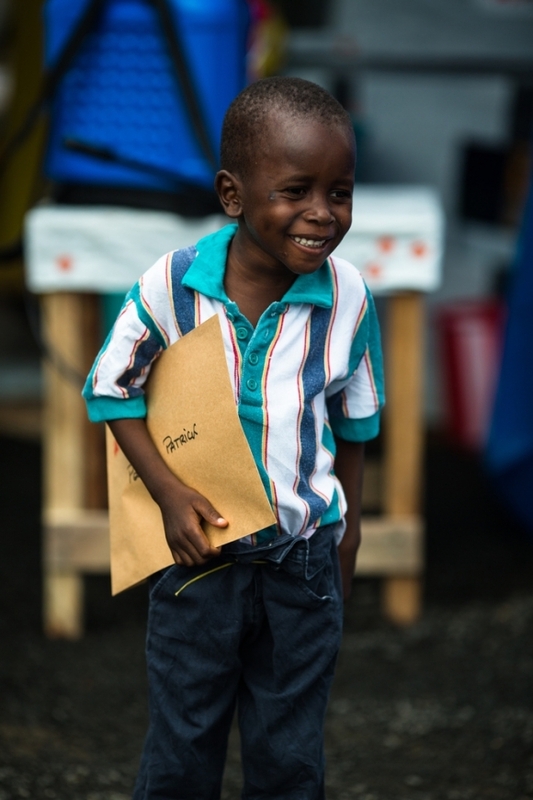 And it’s easy to miss stories of people fighting the disease, like survivor Alhassan Kemokai in Sierra Leone who caught it while caring for his ailing mother, independentambulance workers in Monrovia, or 6-year-old Patrick Poopel (pictured) whose smile who the only thing left that is infectious. Nursing student Fatu Kekula saved her father, mother and sister by inventing her own protective gear from trash bags. Apparently international aid workers heard are now teaching her ”trash bag method” and to others who can’t get into hospitals. Is Ebola in West Africa a “crisis of governance” or “the ugly face of a global aid system that is broken“? These questions are an abstraction to those who are facing sickness and suffering this very day. If you want to give to local efforts, see GlobalGiving and the Ebola Survival Fund. Unfortunately this Indiegogo campaign by 5 grassroots organizations in Sierra Leone didn’t meet their goal, but you can still be in contact with them directly via email. Diaspora, share how you’re responding to ebola here.